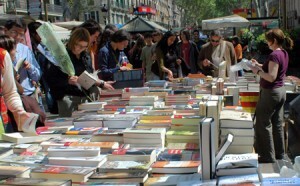 Haven’t you gone through the 64th Barcelona Fair of the Second Hand, Antique and Modern Book yet? It’s the last days! From the first day of the Mercè, the beginning of Passeig de Gràcia in Barcelona harbors little stands filled with books, where, surely, we can find our favorite one. Between big clothes shops and some elegant bars, at one of the most crowded streets of the city, we can find these stands full of countless literary works, resulting inevitable that one stops to take a look. And, away from any conventionality, we can find the strangest works, even unlisted ones. Who can resist looking for a hidden treasure? There are books for all tastes and ages, from the most extensive and pretentious books to the easiest ones and full of illustrations. 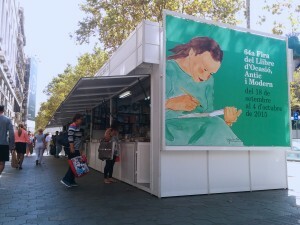 Furthermore, this year the issue of the exposition is Circus and Magic, and one can find books, posters, postcards, among other works of art, which deal with this issue. The opening hours are from 10 a.m. to 9 p.m., opening one hour later on Sundays and holidays (from 11 a.m. to 9 p.m.). If you haven’t gone to this corner of the city yet, take your bicycle quickly because this very Sunday the stands are going to be taken down.